The Town of Tiburon is located north of San Francisco 8 miles from the Golden Gate Bridge in Marin County, California. It is accessible by ferry from downtown San Francisco, by car from Highway 101 and Highway 131 (Tiburon Boulevard) and by bicycle. 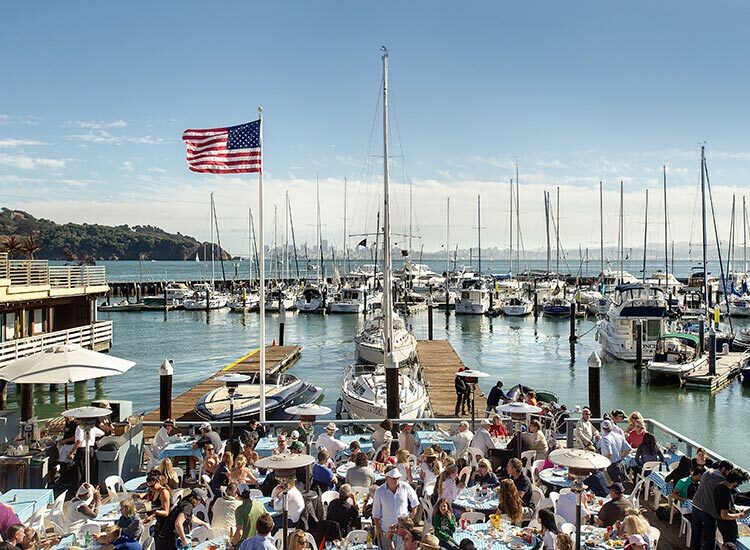 Tiburon was incorporated in 1964.The Tiburon Peninsula is a vibrant place where expansive views of San Francisco, the Marin Headlands, Angel Island and Mount Tamalpais, draw visitors from around the globe. Take the ferry across the bay and enjoy an enviable outdoor lifestyle enhanced by a small town culture steeped in historic preservation. Hike, bike or jog along one of the numerous trails that wind along 12 miles of pristine waterfront. Dine at an eclectic array of world-class cafes and restaurants serving everything from casual to upscale fare. Shop at chic boutiques and other upscale stores that lure an international crowd. Spend a romantic night at one of our local hotels so that you can wake up refreshed for more dining, shopping and outdoor adventures. If you’re looking for a respite from the hectic pace of city life, the Tiburon Peninsula might just be the place for you.